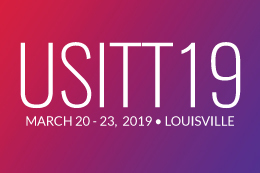 Give a warm welcome to USITT’s three newest Fellows of the Institute who will be inducted at USITT19. Be sure to congratulate them when you see them in Louisville! Andi Lyons is currently the Resident Lighting Designer, Head of Theatre Design and Technology, and Professor at the SUNY Albany. Since 1975, she has designed the lighting or scenery for several hundred productions in a wide variety of professional and academic venues. 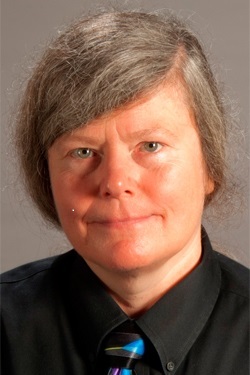 In addition to teaching technical and design courses at UAlbany since 1982, she has served as the Department’s Technical Director, Production Supervisor, Chair of the Theatre Department, and Director of the Theatre Program. Andi has received the SUNY Chancellor’s Award and the President’s Award for both Excellence in Teaching and Excellence in Service at the University at Albany. 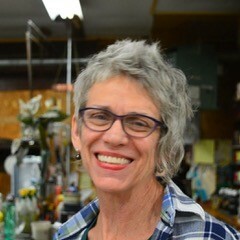 Andi joined USITT in 1982 and has maintained that membership ever since. Her active participation was precipitated in part by a phone call from her mentor from Yale, Ben Sammler. He called in 1986 and said, “We’re doing a Tech Expo for USITT’s 1987 show. What are you going to enter?” Andi entered the project she was working on: “Structural Fiberglass and Its Applications in Technical Theatre” and won an award from Hudson Scenic Studios. In 1992, Andi attended the conference in Seattle where she reconnected with friends from grad school and found it “incredibly welcoming.” She couldn’t help but notice, however, that she was often the only woman in some of the sessions she attended, so she decided to work on changing that. In 1995, the first Networking for Women session was held in Las Vegas, sponsored by Technical Production. Andi recalls, “Thirty women came, with a lot of war stories about gender issues … and at that point, I got involved in the idea of inclusion — the value of getting everyone involved if they were interested in the field.” This idea was the genesis of the Gender Issues Caucus, which would develop into the Human Issues Caucus and begin the People of Color Networking Project. In 2000, the Queer Nation Roundtable was formed with Andi as its co-chair and founding member. Andi has served the Institute in other positions as well. She has been a part of the Membership Committee since 2003, was Vice Commissioner for Programming for Technical Production (1997-1999), Co-Commissioner for Technical Production (2000-2005), and served as a director on the board for two terms (2006-2009/2011-2013). She is currently the Vice-President for Member, Sections, and Chapters. In 2015, Andi received the Joel E. Rubin Founder’s Award for outstanding and continued service to USITT. In his statement about her selection Michael Mehler, then Chair of USITT’s Awards and Resolutions Committee, credited Lyons with helping change the face of USITT not by demand, but by example. “It’s not simply the work that Andi has accomplished, but the manner in which she has accomplished it that merits this highly esteemed award,” he said. Over the last few decades, only a handful of individuals have made contributions and time commitments to the entertainment industry equal to Eddie Raymond. His name is recognized nationally and internationally as a leader of industry efforts to improve the standards, lives, safety, and personal satisfaction of our many members, regardless of their status or position. In fact, if USITT were to erect a Mount Rushmore of individuals who have impacted the health and safety of our industry, alongside Fellows Randy Davidson and Jay Glerum, there would be a space for Eddie Raymond. Eddie Raymond is a lifelong San Francisco Bay Area resident, graduating from and attending post-graduate work in education at UC Berkeley. He has been a stagehand with Local 16 of the IATSE since 1975. After graduating the Apprentice Program at Local 16, Eddie became involved as a member of the Examining Board in 1981 and served as the chair of that committee from 1984 until February 2014. Since 1981 he has been a leader in the progressive improvement of stagehand training in Local 16 as well as in the International Alliance. He currently serves the IATSE as a member of its Craft Advancement Program, providing training and advising the IA’s Exhibition and Entertainment Joint Training Trust and as a Safety in Entertainment Instructor. Standards Council and the Behind the Scenes Foundation Board of Directors. A gifted educator and trainer, Raymond has recently taught the USITT Jay Glerum Rigging Masterclass in Hawaii along with Fellow Joe Aldridge and regularly teaches the OSHA 10 course for USITT members as a pre-conference workshop. OSHA 10 seeks to engage entry-level workers to learn to recognize, avoid, abate, and prevent health and safety hazards in the workplace. Recently, Raymond partnered with Fellow Bill Sapsis to co-found the New World Rigging Symposium, providing advanced training and networking opportunities to the upper end of personnel within our industry. This highly successful program is yet another example of Raymond’s efforts to link professional organizations across a common mission of education and training. 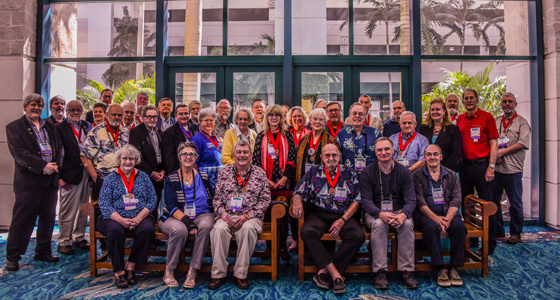 Raymond has attended every USITT Annual Conference since 1989 and continues to participate on panels and in numerous other roles — a great many of which focus on aspects of mentoring and industry leadership. His annual Conference presentation “Introduction to ETCP” has been offered since 2005 and has introduced many USITT Early Career members to the benefits and impacts of the Entertainment Technician Certification Program, a key partnership between USITT and ESTA. Kimb Williamson has been an extremely active USITT member for more than 25 years, having served as a Vice Commissioner of Scenic Design, Co-Commissioner of Scenic Design, Director-at-Large, and, recently, six years as Vice President for Commissions. She has been a leader in both scenic design and scenic art in program planning, responsible budgeting, and mentoring of new leaders and young members. She has also written articles for Theatre Design & Technology and served on the editorial board of the Painter’s Journal. 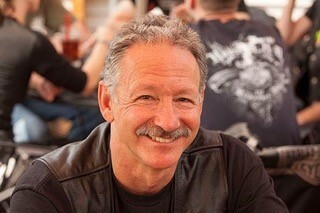 Kimb has worked tirelessly in supporting the projects of Commissions and Commissioners as well as working for several years as an important representative of Commissions as a member of the Awards and Resolutions Committee, the Grants and Fellowships Committee, and in support of the Young Designers and Technicians Awards program. Kimb’s professional work in the theatre has been exemplary. She has designed scenery for numerous theatres in the Phoenix area on a regular basis, including Arizona Theatre Company, Actor’s Theatre of Phoenix, Childsplay, Phoenix Theatre, Southwest Shakespeare Festival, and at the La Jolla Playhouse in California. She worked as a scenic artist and charge artist for several years for the Music Theatre of Wichita. In theatre education, she was a professor of theatre for 34 years for the Maricopa Community College and served as chair of that department before her retirement. She has also taught scenic art for the distinguished Cobalt Studios in over 20 years of summer sessions. Kimb is a recipient of the Kennedy Center/ACTFestival Excellence in Education Award and recipient of Arizona Theatre awards for Outstanding Set Design.